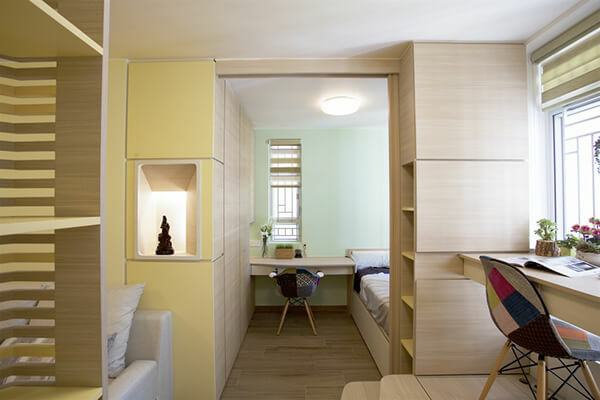 HongKong, as a lot of super crowded city, is notorious for housing shortage and a lots of people have to live in small room since they just simpliy can’t afford spacious place. 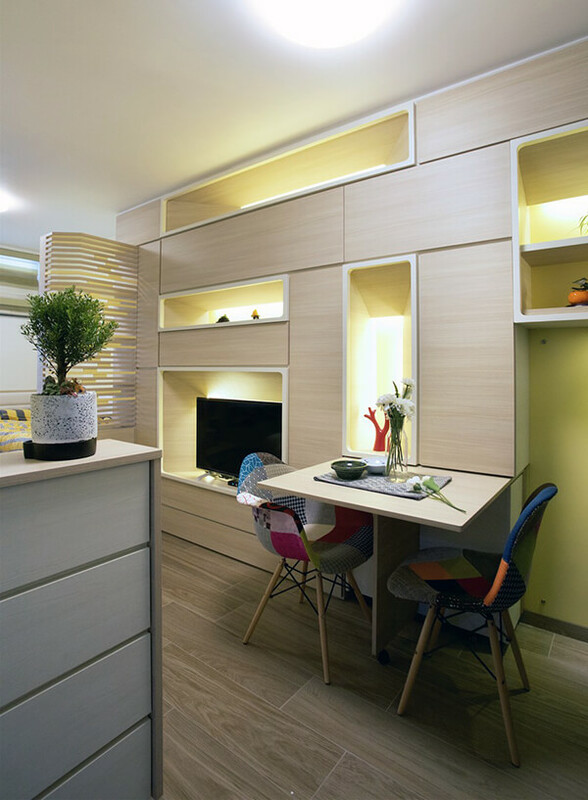 Hence, how to live comfortable with limited square footage is a big challenge for Hongkong based interior design companies. 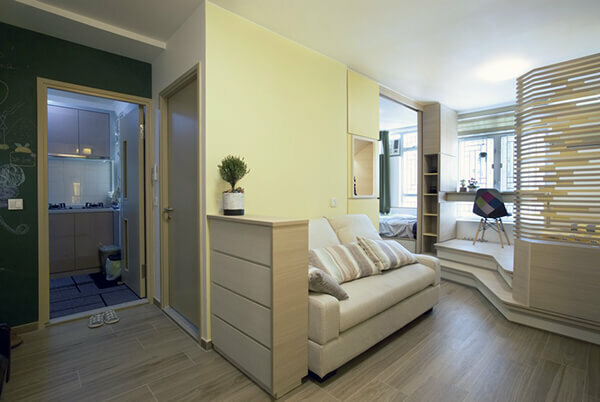 We once wrote about a transformable room which has 24 room configuration on 344 square foot and today, we will introduce you another creative design by Sim-Plex Design Studio – a 324 square foot micro apartment. 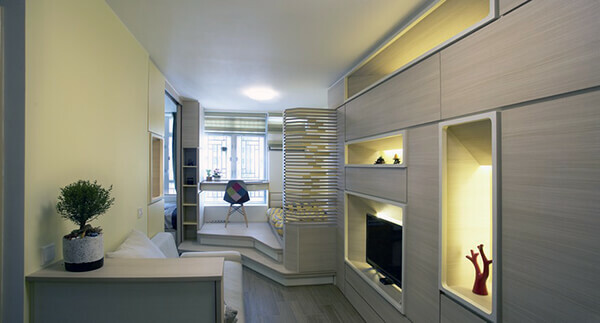 Using custom cabinetry, this 324 square foot micro apartment becomes a three people-living open plan home and even having crystallized display space for artwork collection. The client, who is a ceramic and sculptural artwork lover, asked for a fluid spatial arrangement with numerous bright display space to showcase his mini artwork collections. 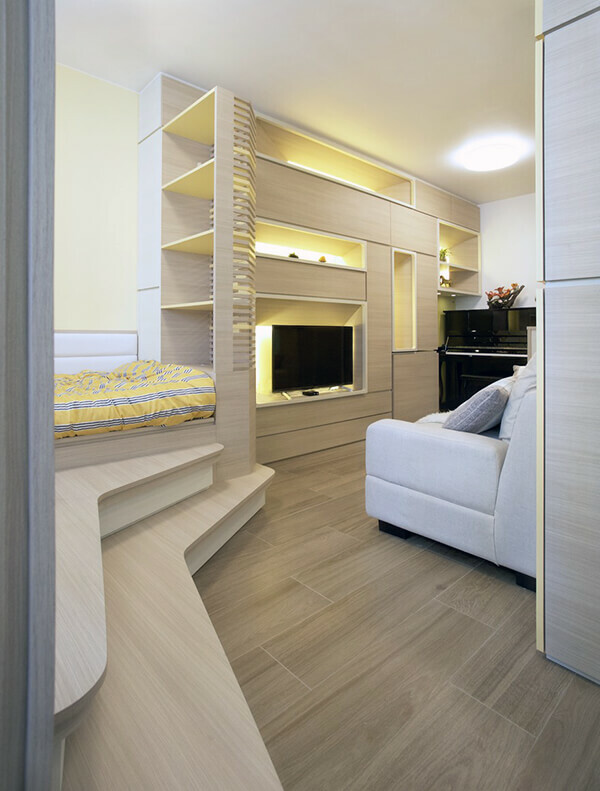 To fulfill this requirement, the studio introduced a cabinetry feature wall with variety of cave-in crystallized slots to act as a backdrop for specific sculptural interventions. 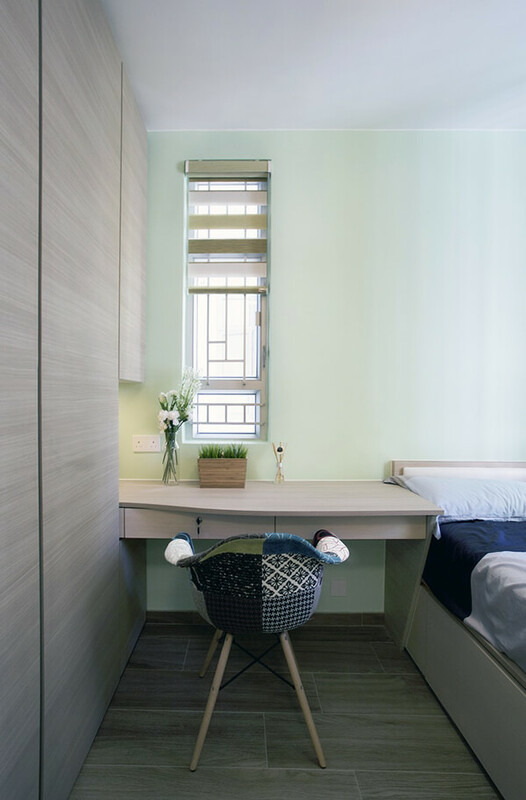 Adjustable table, concealed storage (on floor), sliding door and louver screen re-partitioning the compact home into a flexible living space. 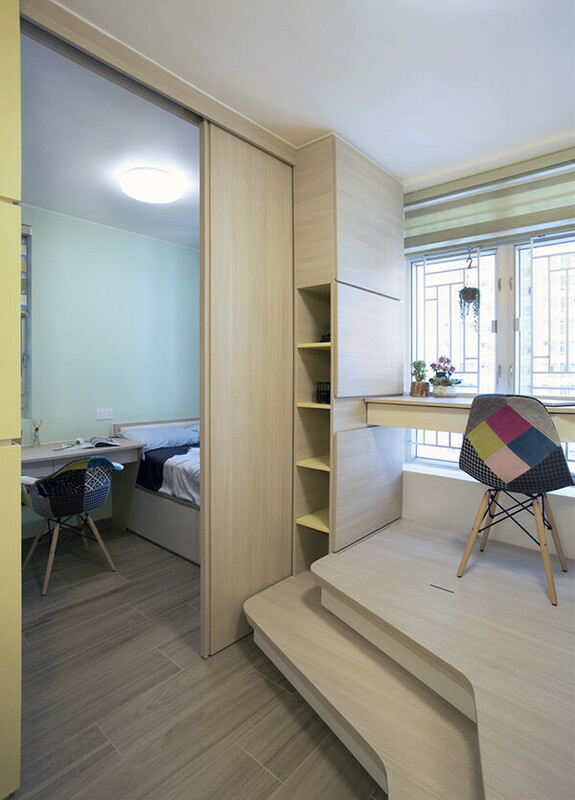 Although there is no much privacy for people who live in the raising room, it is still a quite smart and creative design for this micro 3 people apartment.